Beaver earned a B.S. in Geology from the College of Arts & Science at OHIO in 1949. 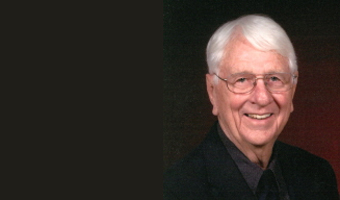 WACO, Texas (Oct. 26, 2018) – Baylor University is mourning the passing of Harold H. Beaver, Ph.D., Distinguished Professor Emeritus and Chair of Geology in the College of Arts & Sciences, who died Oct. 25 at the age of 93. A native of Ohio, Dr. Beaver served his country in the U.S. Navy during World War II aboard the USS Rigel. After his three years, he returned to the States and went to Taylor University, Ohio University and Wheaton College, where he met his wife Dorcas. After receiving his Ph.D. from the University of Wisconsin, he began his teaching career as a professor of geology at Lamar University in Beaumont. Following that, he joined the faculty at Baylor University, just after the tornado in 1953. Dr. Beaver then joined Exxon for 20 years, returning to Baylor in 1976, when he was asked to become chair of the department of geology. He retired in 1995. Read more at Baylor Media Communications.